I'm so excited to have finally broken down and ordered custom labels for my quilts. These come from the Etsy shop Mommie Made It. 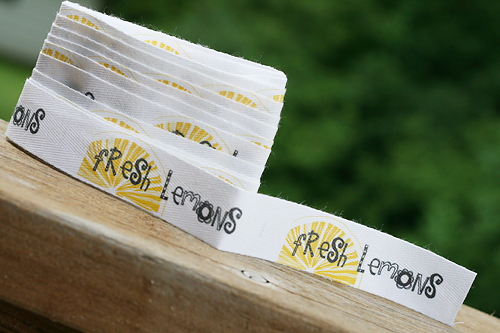 They are printed on organic cotton twill ribbon and were custom made based on the design I created. I was going back and forth between making a "fun" design or a "serious" design...clearly I choose the "fun" route! The quality looks fantastic and I can't wait to sew them on the 2 quilts I have upstairs which are awaiting their binding!